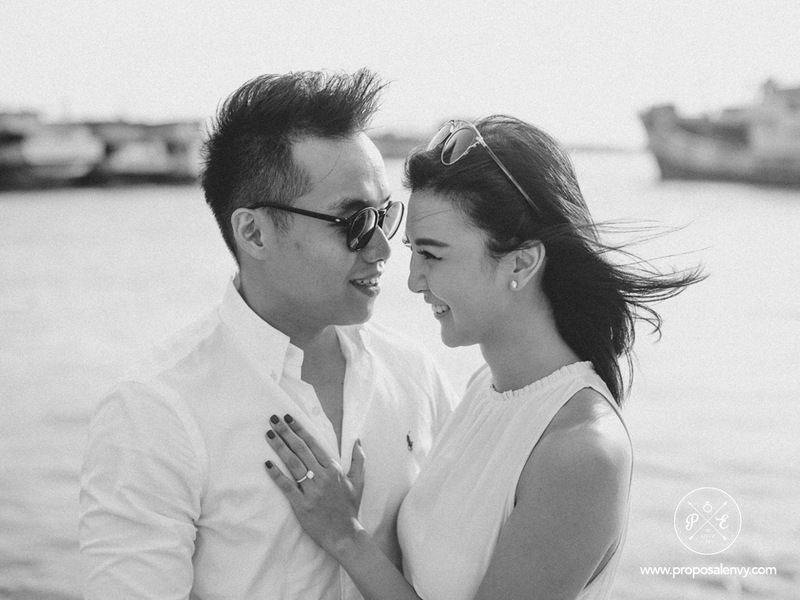 What can be more romantic than a magical Bali destination proposal vacation. 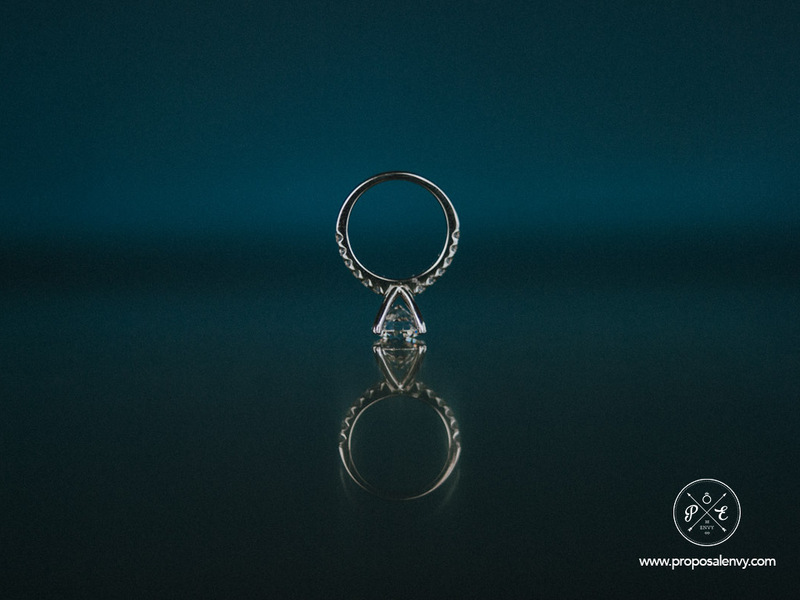 Ready to propose but not sure where to start? 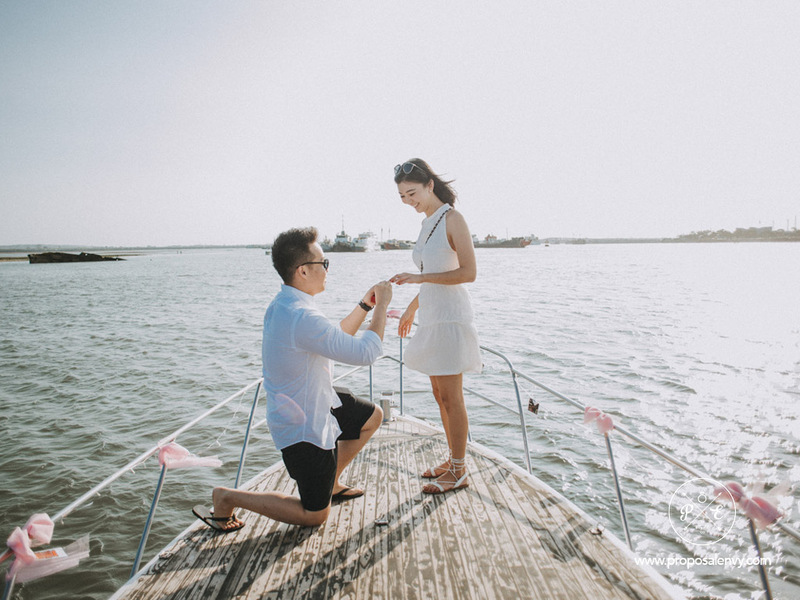 Read our blog for the most amazing Bali destination proposals. 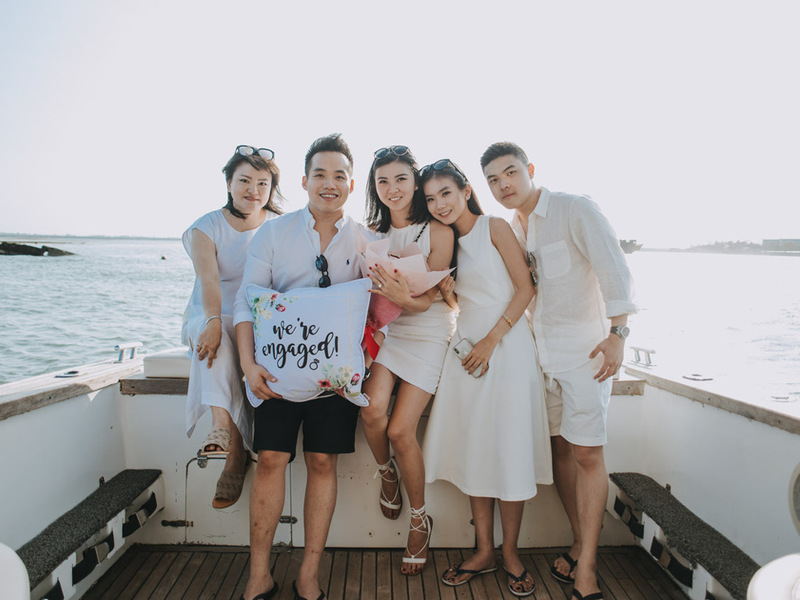 Steven and Jessica were planning to visit Bali for a nice weekend vacation with family, and this was the perfect opportunity to pop the question. 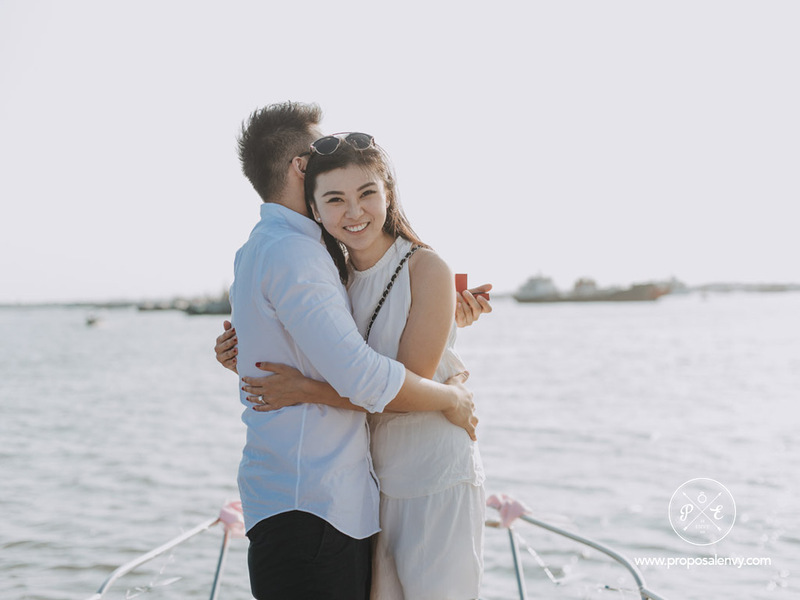 What can more romantic than a magical destination proposal vacation. 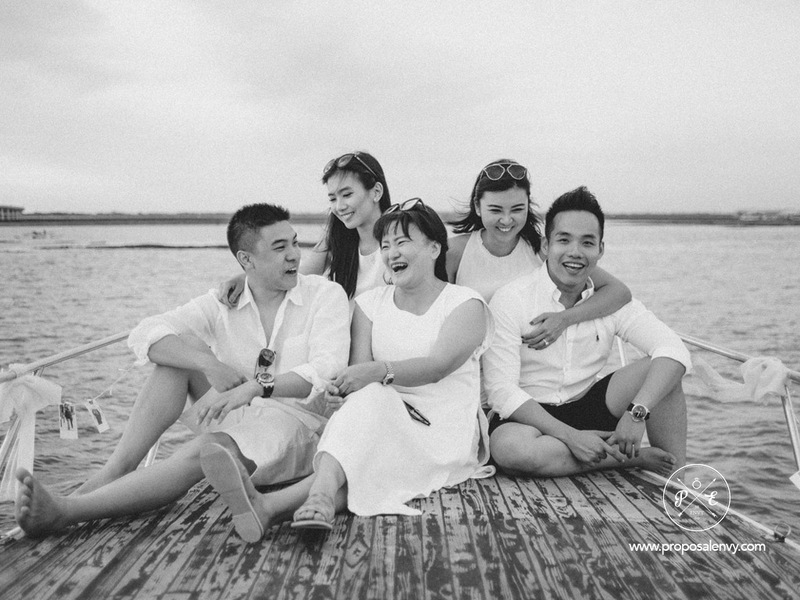 The proposal plan to was to make Jessica believe that her mother had arranged for a family photo shoot on a yacht. She informed Jessica that she had hired a photographer and it would be a good opportunity for them to get their pictures taken during sunset. Jessica bought the plan and was actually very excited. 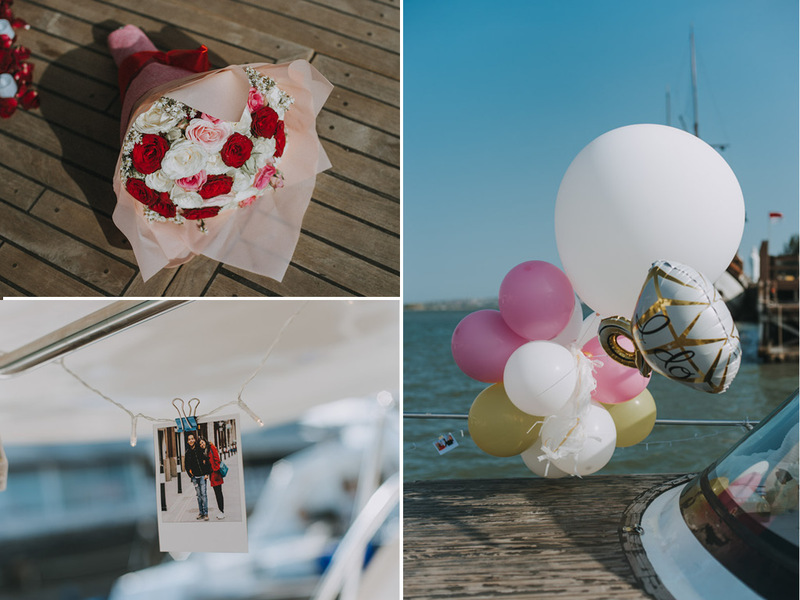 Our team had arrived earlier and decorated the yacht fit for a proposal. 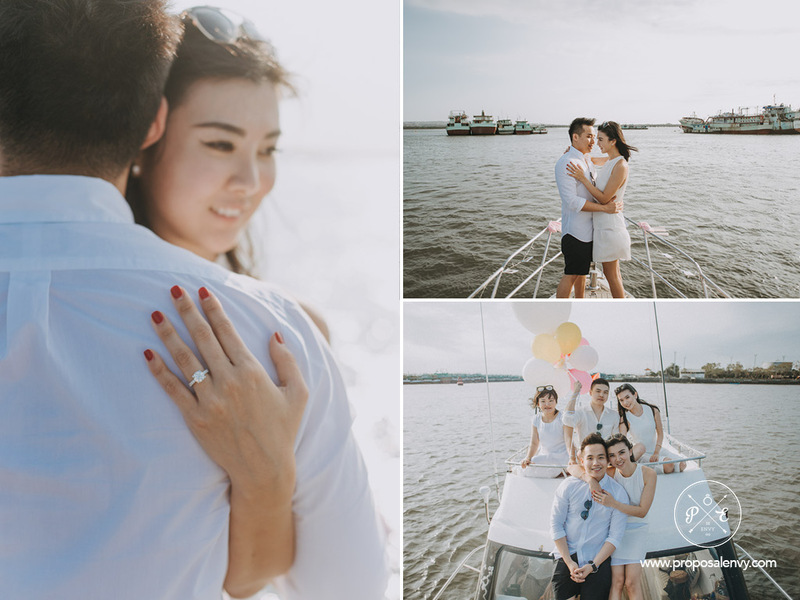 The family members arrived at the location an hour early, aboard the boat and waited for Steven and Jessica to arrive. 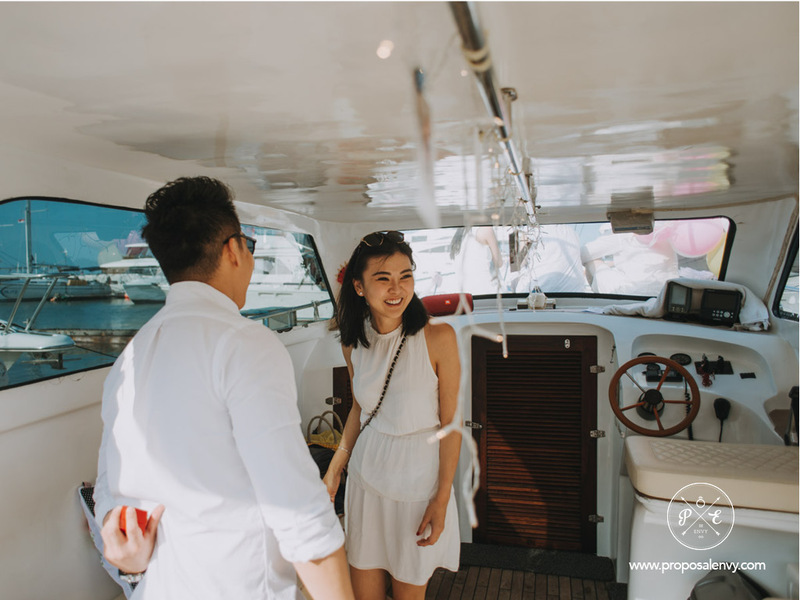 When the couple arrived we informed them the family members are waiting for them on the boat. 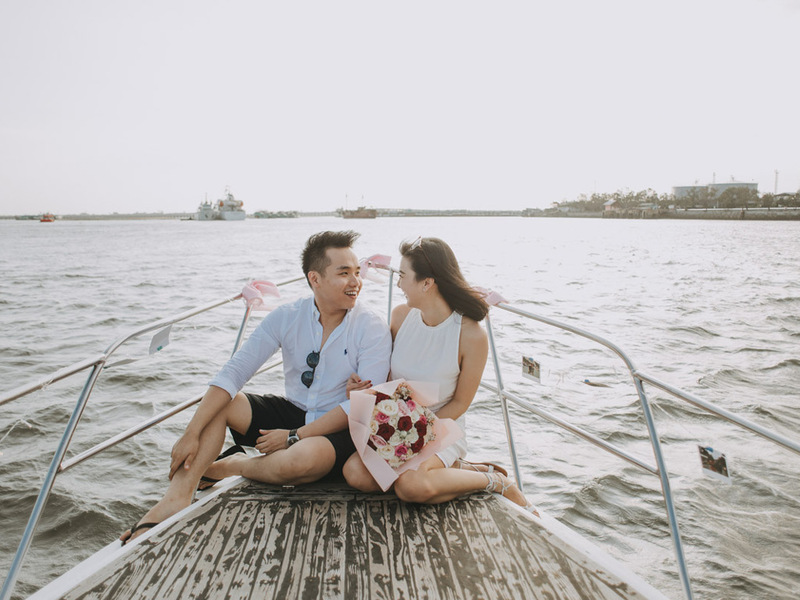 Steven invited Jessica to the bow where her family members had been waiting. 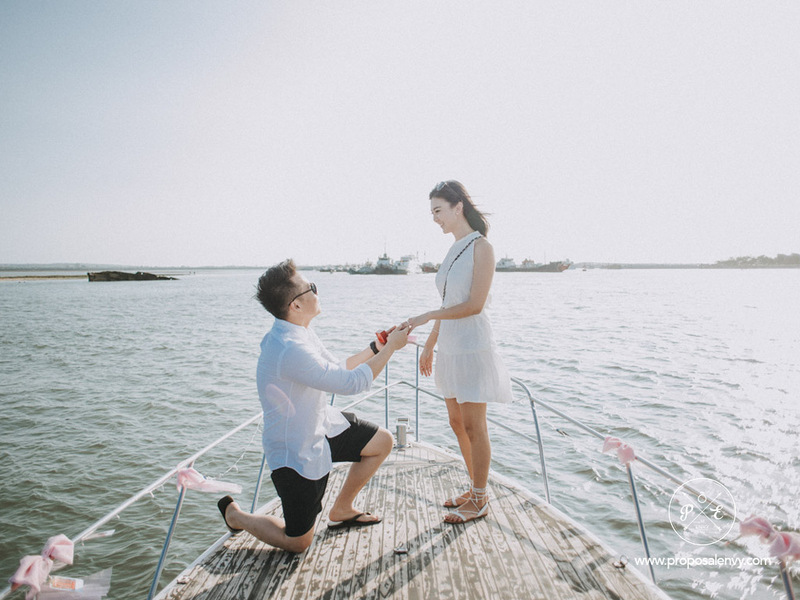 Without further ado, Steven went down on one knee and popped the questions. Without any hesitation Jessica said yes and congratulated by her mother and brother. At that time her mother revealed to her that it was all part of the plan to make her believe that she was the one who arranged for the photo shoot. But it was actually part of the proposal plan all along.